Day 95: Out of Food and Water . . .
Today was a town day! We hit the snooze button a couple of times… even with the allure of town, it was tough to get up! We normally keep our inReach turned off over night and when we turned it on this morning there was a message from Tom waiting for us. 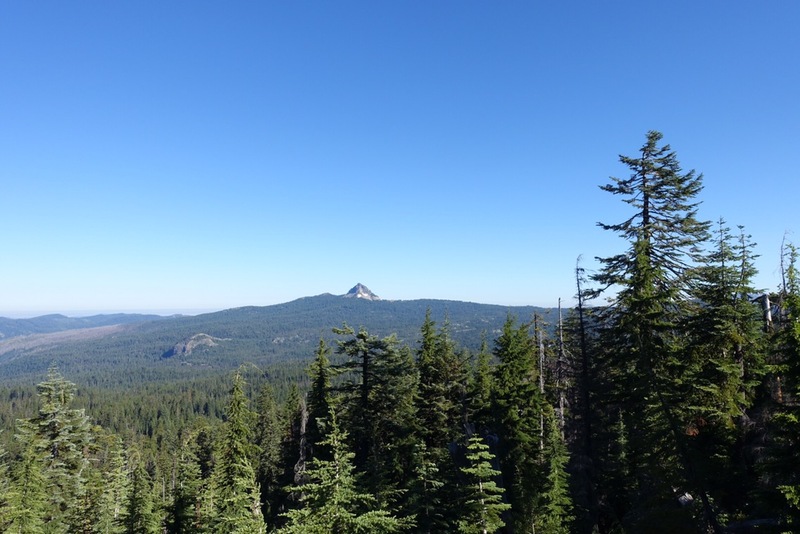 He told us to go ahead and sleep in because he wouldn’t be able to make it to Crater Lake until later in the day. Oops! I guess it didn’t really matter though because we needed to get to Crater Lake by lunch anyway because we were almost out of food. We both had a couple bars and that was it… not enough these days. There were a lot of blow downs this morning. 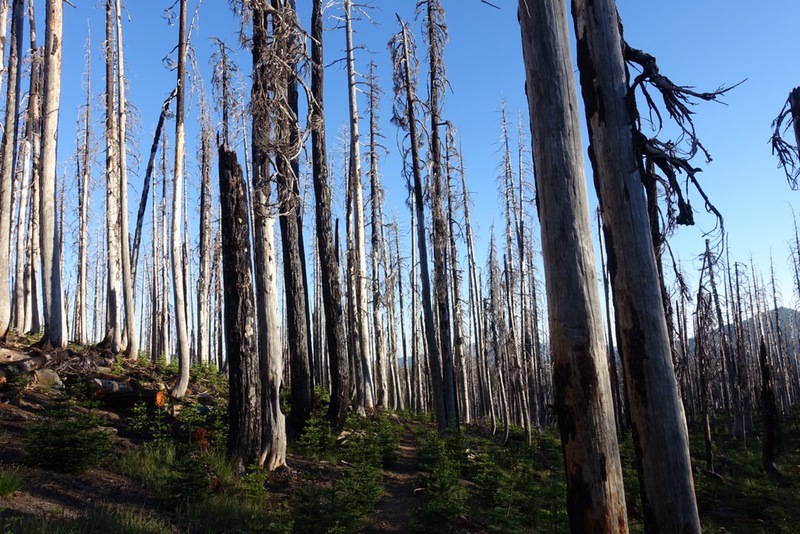 Combined with being in a burn section, the trail this morning was pretty stark. At one point, I actually had to use my gps to find the trail after going around a huge blow down. Crazy! 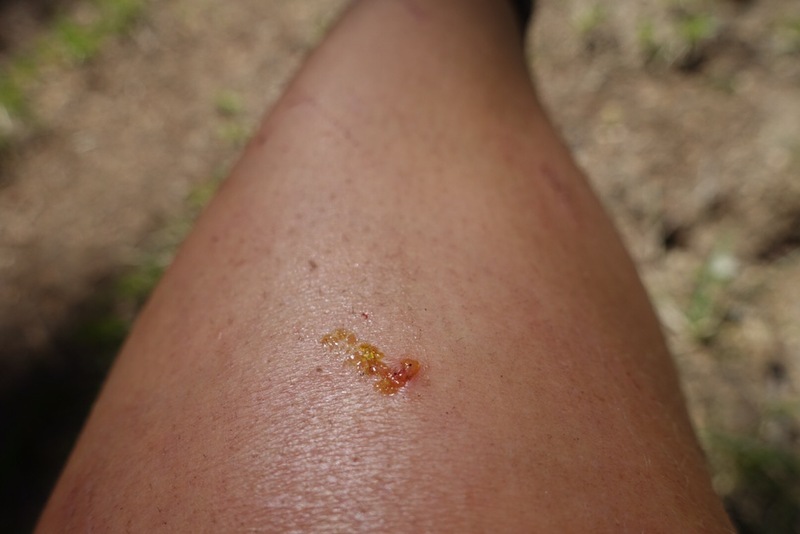 Thanks to the blow downs, I added several new scratches to my legs, including in that opened up a big mosquito bite and started to release puss. Gross! It didn’t help that we were being attacked by mosquitoes as we tried to navigate the blow downs. We had a few points during the morning with good views, but once we were out of the burn zone we spent most of our time walking in the forest. The water source that we were relying on this morning was about 10 miles into the day. The water report stated that, as of a couple weeks ago, the seasonal stream was running at about 5 liters per minute. When I reached the source it was completely dry. There wasn’t even a damp spot on the ground! Luckily, I had saved a few sips of water (I rarely finish out my water just in case this happens). 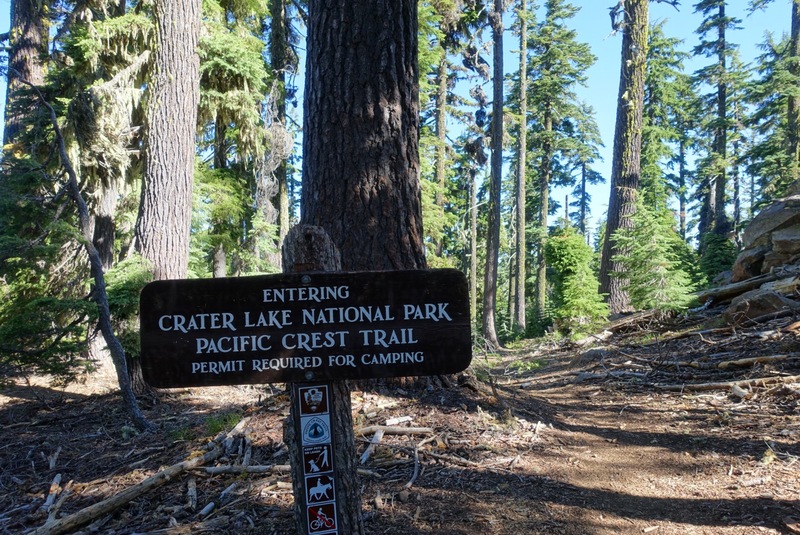 We’d have to make it four more miles until we reached Crater Lake because there were no other sources listed on the water report. Fun! 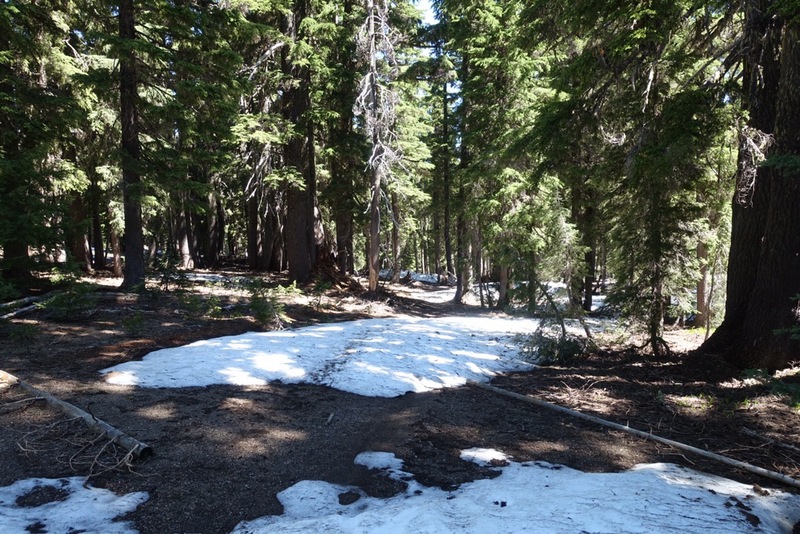 The next couple miles had about 25% snow cover, but for the most part it was in fairly flat terrain and no navigation was needed. I guess there was a lot more snow a couple weeks ago, which explains why that stream may have been previously running and is now dry. 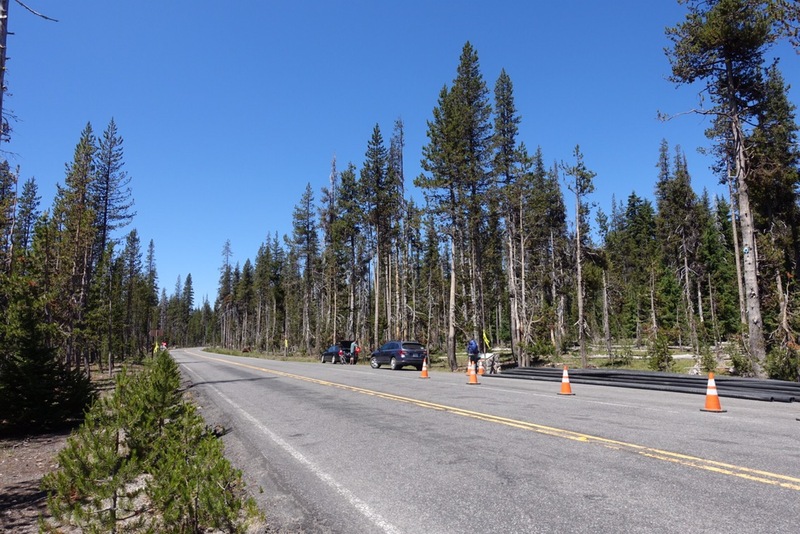 When we finally hit the road that leads into Crater Lake we found that no one was stopping to pick up hitch hikers. It was only a mile into the village, so after a few minutes we decided that it would be faster to just walk to Mazama Village. We grabbed sodas and beer at the store — the selection of Oregon beers available by the can or bottle was impressive! We had also sent our resupply package to the store and Michael received a new, smaller hip belt for his backpack. 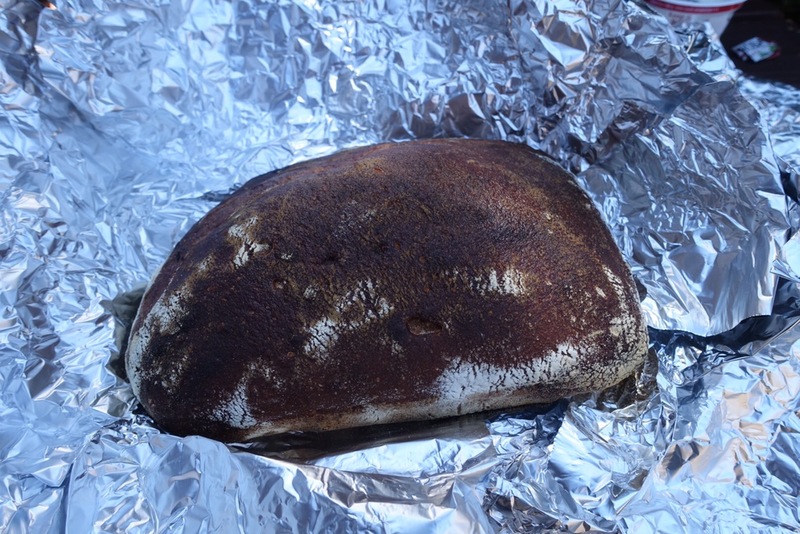 We also received a care package from my friend Angela — home made sourdough bread and English muffins. Awesome!! We immediately dug into the sourdough, adding some of our leftover olive oil to make it into the perfect thru hiker’s treat. So good! I can’t wait to try the English muffins with some of our hazelnut nut butter. Thank you Angela!! Bread! Inexpertly photographed by me. So yummy! While waiting outside the store we met some new hikers and ran into some familiar faces — A-Game and Valley Girl! It was great to catch up with people since it seems like there haven’t been many familiar faces on the trail recently! We even sneaked in a shower before Tom showed up (we have some self-respect and didn’t want to subject him to a car ride with us pre-shower). My shower ended up being more of a dribble because of heard that one of the showers would run without quarters… but I guess I grabbed the wrong shower. Tom arrived around 4 to pick us up. It was great to see a familiar face — I haven’t seen Tom since my last day of work in April 2016! Our first stop was Ashland, where we met up for a fantastic dinner with my former co-workers (current friends) Ryan, Sara, and Jeff. Can’t ask for much more than great food, drinks, and friends. By the time we made it to Tom’s place back in California along the Klamath River it was dark. We got a quick tour of the place, which has one permanent structure that includes the bathrooms and open-air kitchen area and then safari tents for bedrooms. We may still be living in a tent, but this one is huge and includes cots! An improvement over our little tent home and sleeping pads for sure! I’m exhausted and can’t wait to see more of the property tomorrow and hang out with everyone. Seems like the start of a great trail-cation! ← Day 94: And Then The Murders Began.